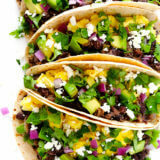 This is my favorite recipe for black bean breakfast tacos. 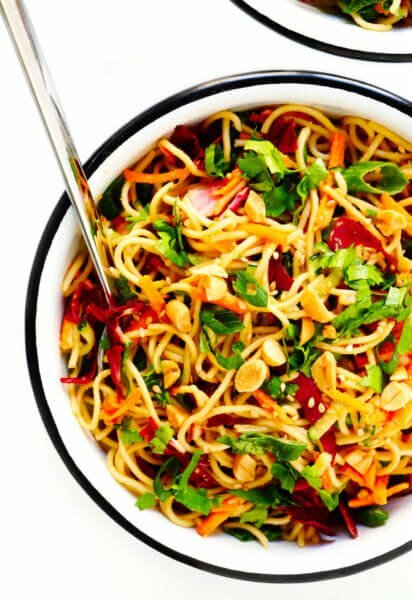 They’re quick and easy to make, full of protein, and so flavorful and delicious! He likes to call every moment that we spend together a “date”. From the traditional date-nights-out (“sushi date!”, “movie date!”, “picnic date!”) to laid back date-nights-in (“pasta date!”, “West Wing date!”, “Kindle date!”) to just about every day of the week (“Sun-date!”, “Mon-date!”, “Tues-date!”) to the travels near and far (“39th street date!”, “road trip date!”, “Paris date!”) to all of our random faves (“picnic date!”, “fireplace date!”, “therapy date!”) and all of the not-always-so-fun adulting in between (“working date!”, “dishes date!”, “laundry date!”) — he always manages to find a way to make even the most mundane of moments together feel a little extra special. Of course, dates are always all the better with some good food to go along with them. So for a lazy Saturday morning “reading date” a few weeks ago, I decided to scavenge the pantry for something to make for brunch, and ended up whipping up some impromptu vegetarian black bean breakfast tacos for the two of us to share. They weren’t anything extra-fancy, but they were surprisingly awesome. And they gave us the perfect protein boost for a morning of snuggling up on the couch with our Kindles and coffee and napping pups beside us. So, about these black bean tacos. You’re welcome to top them however you want with whatever you want. 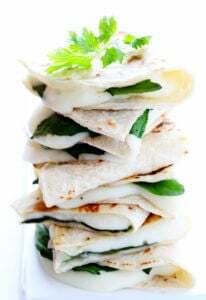 I usually scramble up some eggs (or you could fry them), dice an avocado and red onion, and then sprinkle on lots of fresh cilantro and cheese and lime juice. But the real secret to these tacos is right here in this zesty, tangy, oh-so-delicious pan of black beans. They’re perfectly seasoned with onion, jalapeno, garlic, lime juice, and cumin. And they make the perfectly hearty and protein-packed base for a good taco. ?? Oh and the best part? These tacos can easily be ready in just about 20 or so minutes, if you chop up the rest of your toppings while those black beans are simmering on the stove. Easy peasy. And perfect for a good Saturday morning reading date…or any morning that you’d like to get off to a delicious start. These awesome Black Bean Breakfast Tacos are quick and easy to make, naturally vegetarian (and gluten-free, if you use corn tortillas), and so flavorful and delicious! Once all of your fillings and toppings are ready to go, fill your tortillas with a large spoonful (each) of the black bean mixture and scrambled eggs. Then sprinkle on your desired toppings. Serve immediately. Heat oil in a medium saucepan over medium-high heat. Add the onion and jalapeno, and saute for 4-5 minutes, stirring occasionally, until the onion is cooked and soft and translucent. Stir in the garlic and saute for 1-2 minutes, stirring occasionally, until fragrant. 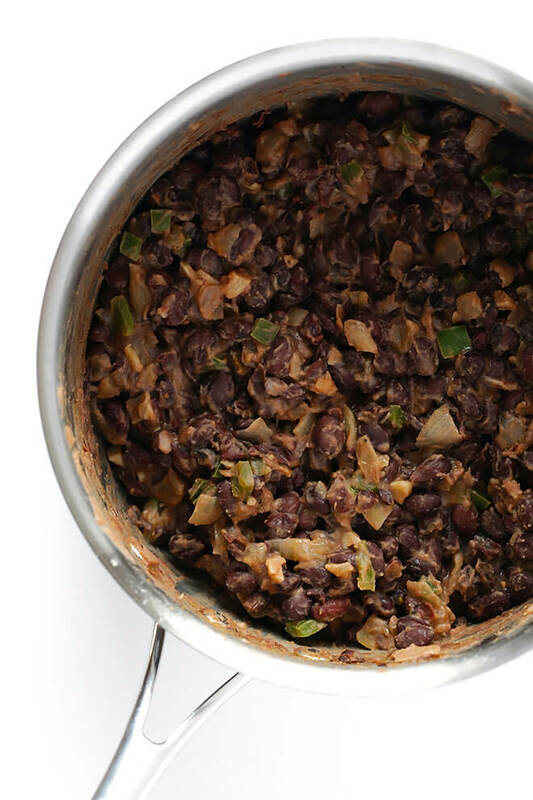 Stir in the black beans, cumin and lime until completely combined. Saute for 1-2 minutes, or until the black beans are warmed through. Season to taste with salt and pepper, then remove from the heat and serve. Whisk together eggs and milk and a pinch of salt and pepper in a large bowl until smooth. Heat a large saute pan over medium-heat, and spray with cooking spray (or melt a tablespoon of butter in the bottom of the pan). Add the egg mixture and cook, stirring frequently, until the eggs are scrambled and cooked through. 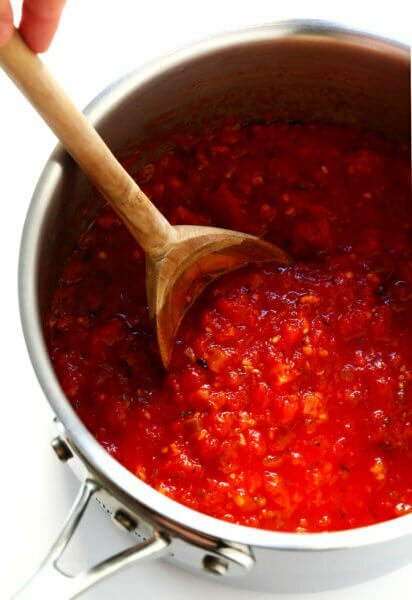 Remove from heat and serve. Thanks, Sara — we hope you can try these soon! Oh my … these look so delicious that I’m going to make them for my lunch RIGHT NOW! You can eat breakfast at any time of day, right? Yes, totally! :) We hope you enjoy them! Yes!!! You have to sneak in dates when you can. Kindle date, magazine reading dates, and my husband’s favorite: looking a puppies online. I love tacos, breakfast tacos, and any combination of the two is awesome! There is a burrito place we go to occasionally that will fries eggs to put in your burrito and its ridiculously good that way – I am sure I will love your version! I love the everyday simple dates, they are the best! So happy for you! 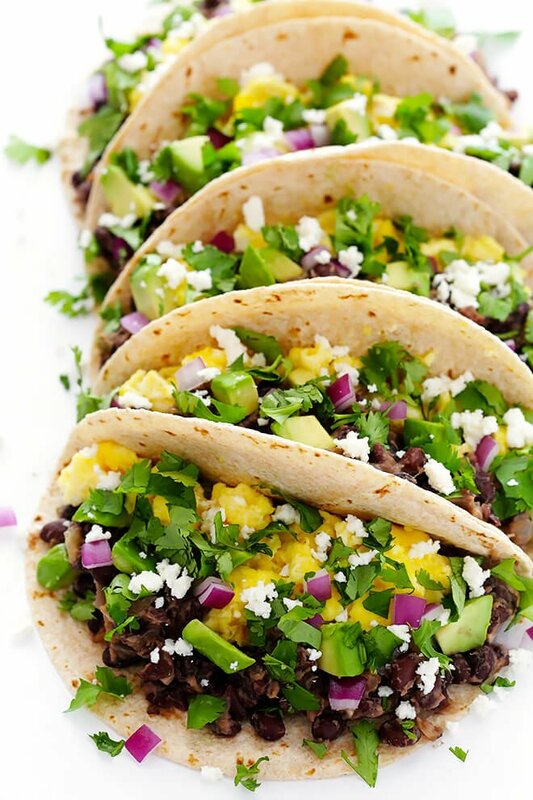 This looks absolutely scrumptious – tacos for breakfast, YES. 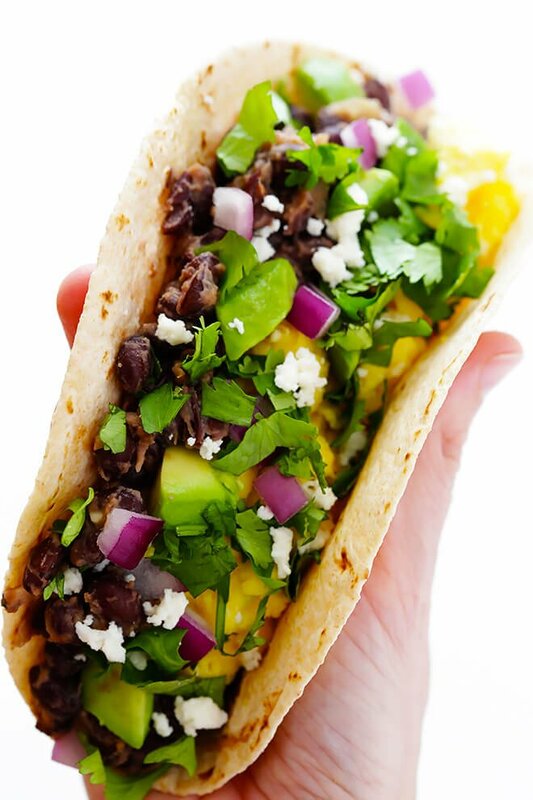 Black bean breakfast tacos looks delicious!!. Thanks, we hope you enjoy them! 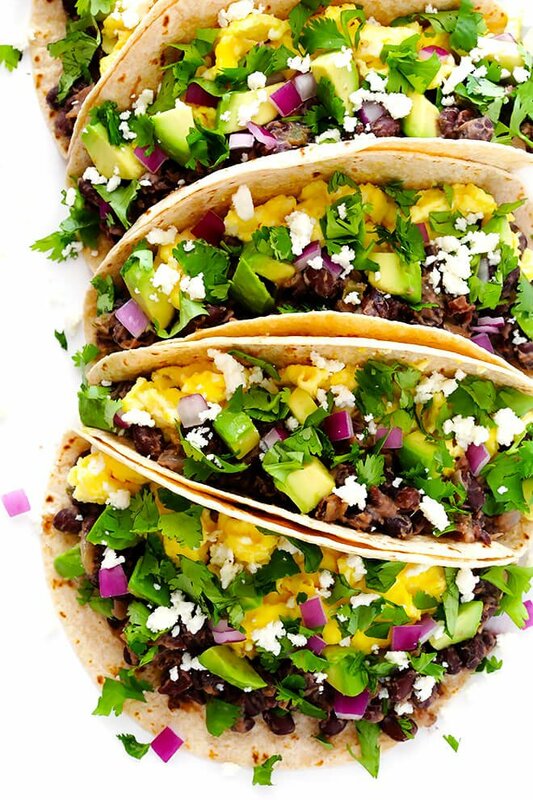 Yes, we could honestly eat tacos for breakfast, lunch, or dinner just about any day! :) We hope you can try these soon! These look amazing! I’ve been learning, over the past year, how to really do a savory breakfast and I think these have to be next on my list. I’m pretty sure even my husband would like them! Thanks, Jennifer — we hope you guys can give these a try sometime soon! These sound delicious! What a great idea. We love breakfast burritos, but I’ve never made a breakfast taco. My husband would love them. Thanks! What a great way to incorporate some healthy foods into breakfast. Can’t wait to try these! The pictures are mouthwatering. Thanks, Kim, we hope you enjoy them!